Πλάτωνος Ἐπιστολαί. 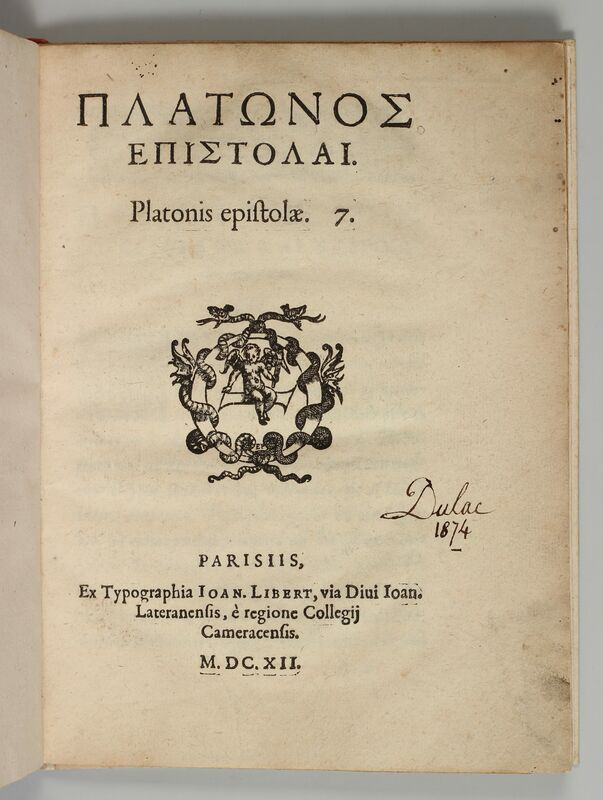 Platonis epistolae 7. — Paris, Ioan. Libert, 1612. 4to (217 x 161 mm). α-η4: 55 p. Printed in Greek. 19th century half-vellum. – Not in Hoffmann.